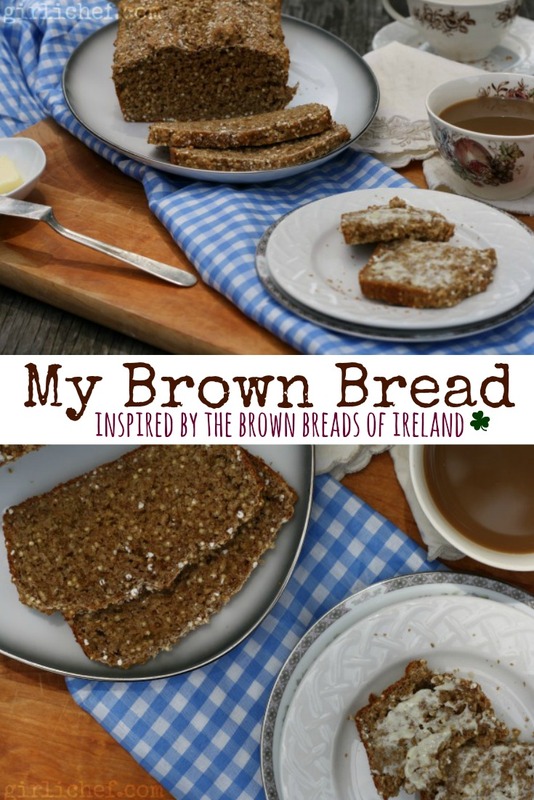 One of the things that I remember most fondly about the food of Ireland was the Brown Bread. That may seem cliché, or even boring, however it is anything but! Every place you go, you'll find a different variation. Images of rustic, craggy soda bread probably pop to mind - and yes, there is plenty of that. And no joke - it tastes better in Ireland than it does in the US. 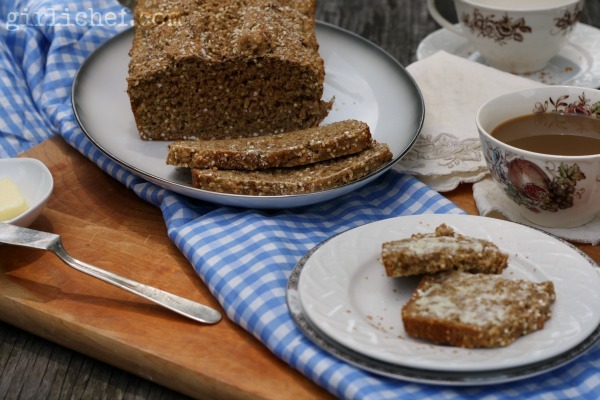 It's as if the gurgling streams and emerald landscapes are embedded in each loaf, and every bite you take helps Ireland take root in your soul. 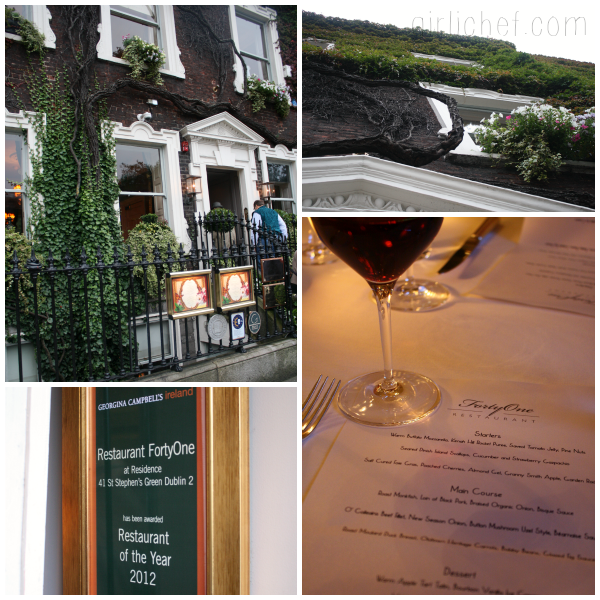 One of my favorite loaves of Brown Bread came from a restaurant in Dublin called Restaurant FortyOne. It was a chewy, yeasted brown bread with a deep, wheaty flavor. Those slices disappeared from the bread basket before any of the other types of bread and rolls did. Brown bread was part of every breakfast spread at every hotel. There's nothing like starting off the day with a thick slice that has been slathered with grassy, Irish butter...especially with a couple of slices of fat Irish bacon and a cup of coffee that has been sweetened with a lump or two of brown sugar. And this may sound like bragging, but I even enjoyed a slice of brown bread from the hands of Darina Allen. It's true. 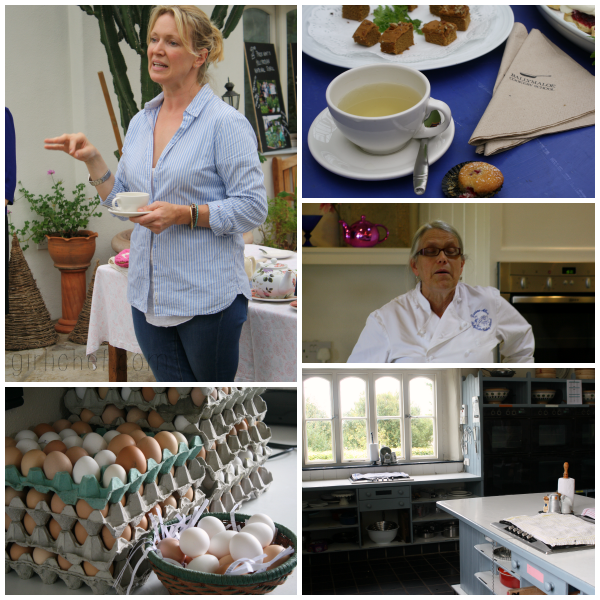 Our group was in a rush to get on the road after our mindblowing tour of Ballymaloe, and Darina and Rachel filled a bag with goodies from the kitchen to fill our rumbling bellies so that we wouldn't starve on the road. Slightly surreal, entirely satisfying. 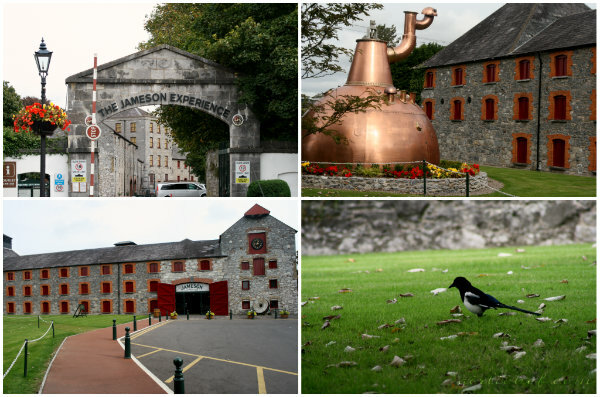 But these days, when I reminisce on the bread of Ireland, my mind always wanders back to a grainy loaf made by the Malt House Restaurant inside the Jameson Whiskey Distillery in Midleton (Cork). I wish beyond wishes that I had snapped a photo of the bread. I'm loath to admit that I was pretty shaky when we arrived at the distillery, due to a nasty bout of motion sickness. I won't go beyond saying it was embarrassing and miserable and I wouldn't wish it on my worst enemy. The cool, morning air did me a world of good. I could not fathom the thought of heading into the restaurant with everybody else with my head and stomach pounding and twisting the way they were. I marveled at the Magpies, and beckoned an Irish cat (which promptly and entirely ignored me, just as a stubborn American cat would). I walked and snapped a few shots of the quaint houses and flowers that lined the stone walls. Eventually I made my way to the picnic tables that sat just outside the restaurant doors. Although food still wasn't a high priority, someone brought me out a couple slices of brown bread. 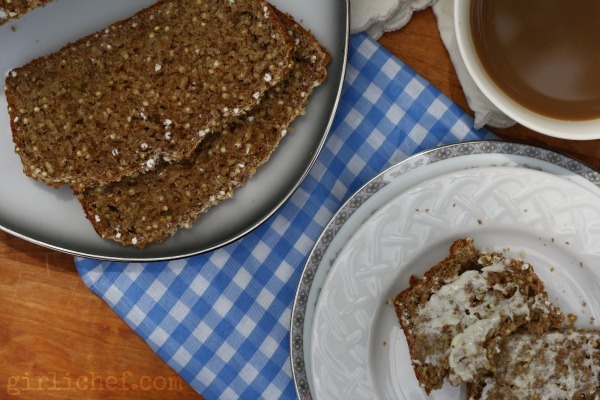 Brown bread that changed my life. It was heavy and moist, and it was studded with nutty grains. If I remember correctly, I even spotted a hint of yellow cornmeal. And the flavor? It was unique all in itself. I've searched here and there to see if I could find their recipe (or a similar copycat version) since then, to no avail. So I've done some experimenting. A couple of bricks and semi-successful attempts later, I've come pretty close. It's not an exact replica, but it has the same texture...the same heft...the same unique flavor (which I think comes a bit from the addition of millet). The only thing that I'm not achieving is the gorgeous brown, yellow-flecked color of their loaf. So, I will keep trying (oh, molasses...yes, next time!). Until then, I'm happy to eat a few slices of this version, slathered with butter. 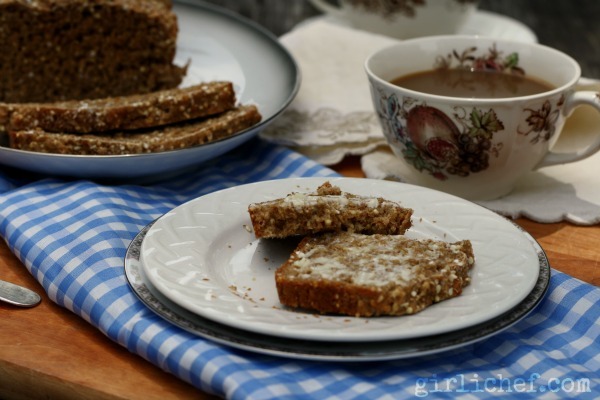 A hearty brown bread studded wtih oats, cornmeal, wheat germ, millet, quinoa flakes, and flax seed. Preheat oven to 450° F. Grease a loaf pan and dust it with a smattering of cornmeal and wheat germ, turning and tapping to lightly coat. Whisk together all of the dry ingredients in a large bowl. Pour the buttermilk over them, and work it in using a wooden spoon. It will be a thick batter, but make sure that everything is moistened. If you have trouble working in any of the dry ingredients, add a dribble of buttermilk at a time until everything is just incorporated. Turn batter out into prepared pan. Dip a butter knife in flour, and us it to score the top, once lengthwise, and once crosswise (making a cross to let the fairies out). Scatter the top with wheat germ and sesame seeds. Slide into preheated oven and bake for 10 minutes, then lower the heat to 250° F, and continue to bake for 50-60 minutes longer. Loaf should be lightly golden and cooked through. Let it cool in the pan for a few minutes, until you're able to handle it easily, then carefully turn the loaf out and allow it to cool completely on a wire rack. Serve as part of a bread basket with your meal, it's great slathered with a bit of salted butter. It's also good toasted and served with butter and honey. It is a dense bread, so a slice or two (depending on thickly you've sliced it) will do ya!